Home > Attorneys > Earl A. Cash, Ph.D.
well known for his comprehensive understanding of trusts and estates issues. 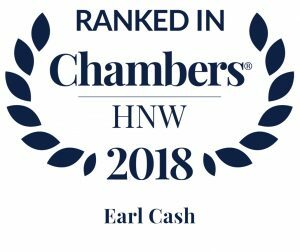 Specialising in Trusts and Estates and Banking Law, Dr. Earl A. 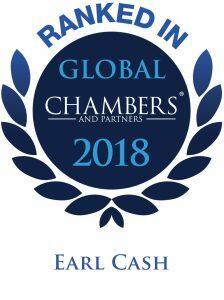 Cash is chair of the firm’s Private Client & Wealth Management practice group and services major trust companies in The Bahamas. He has been a member of the Florida Bar since 1979, and The Bahamas Bar since 1982. He holds a PhD in English from the University of New Mexico as well as a JD and LL.M in International Law from the University of Miami School of Law. Earl spent the 1990s as a temporary Stipendiary and Circuit Magistrate for Night Court in the Bahamas and served as a member of the Ethics Committee of the Bahamas Bar Association. He is a member of STEP and an occasional delegate at IBC’s Annual International Trust and Tax Planning Conference. He has also travelled to the United States and England with the Bahamas Financial Services Board to assist in the promotion of The Bahamas as a choice international jurisdiction. 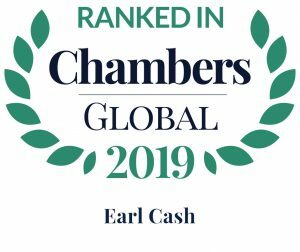 He was named a pre-eminent adviser in Euromoney’s ‘Guide to the World’s Leading Trusts and Estates Lawyers’ (2009); listed as a leading lawyer by the International Financial Law Review (IFLR1000) in 2010, Chambers Global (2014-2019) and Chambers High Net Worth (2017-2018); and recommended in the Citywealth Leaders List (2010-2012). Earl has lectured and written articles on the Trustee Act and related legislation. His publications, which reflect his interest in the law and in literature, include articles in International Financial Law Review; Journal of International Planning; and Trust and Trustees. He has made contributions to the text, Asset Protection: Domestic and International Law and Tactics. His Nassau Escapades is a collection of short stories about Bahamian life. Earl has lectured at the College of The Bahamas in Banking Law, Business Law, and Literature, and has served on the Catholic Board of Education. He has served recently as a member of the Arbitration Board that arbitrated the Industrial Agreement between the College of The Bahamas and the Union of Tertiary Educators of The Bahamas. He served as a member of the Council of the College of The Bahamas (2002-2008), as Deputy Chairman of the Council (2012-2016), as Chairman of the Council (2016) and Chairman of the transition Board of Trustees of the University of The Bahamas (2016-2017), which has the responsibility of setting the institution’s policy. 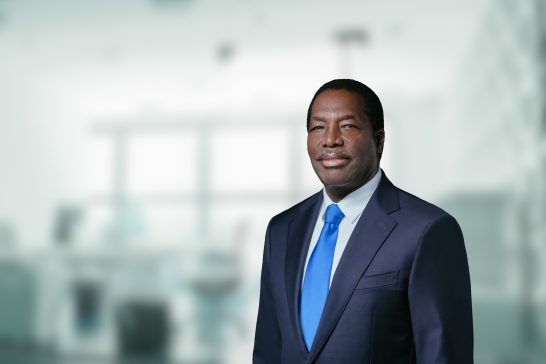 He is a former member of the Board of Directors of the Bahamas International Stock Exchange (BISX) and currently serves as a member of the Disciplinary Tribunal of the Bahamas Bar Association. "well regarded as a leading practitioner," sources say, praising him as a "solid trusts lawyer".